Chomu is a municipality located in Jaipur, the capital city of Rajasthan. Chomu Castle in Chomu is a beautiful architectural structure that attracts tourists to this place. 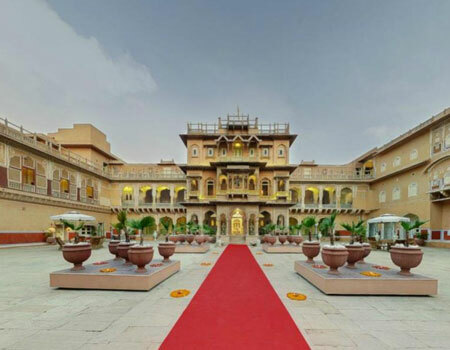 The castle is situated at a distance of 30 kilometres from Jaipur City. The structure takes the visitors back to the past era of grandeur. The castle has now been converted into a heritage hotel that offers to its guests a comfortable stay with all the modern amenities. Staying in the Chomu Castle is an unforgettable experience.